Welcome to the Street Fighter Miscellany! 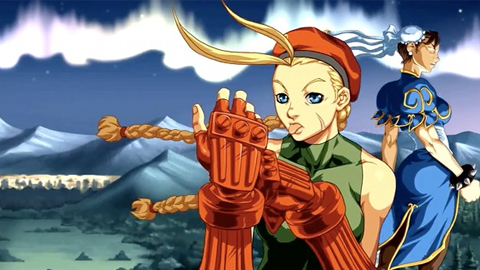 These pages aim to bring together in one place the countless bits of trivia, cameos, secrets and Easter-eggs pertaining to the Street Fighter series of videogames (and related media). This is a scrapbook rather than an encylopædia; each page contains seven entries, more-or-less random in character and approachable in any order. Each entry includes an image for veracity and illumination. For casual players and newcomers to the series the records here will be revelatory, at times hopefully remarkable. For diehard fans, much of the information may already be known but it should nevertheless prove a fun and handy reminder of some of the more unusual and esoteric things that have added to the depth and colour of the Street Fighter series, from its origins in 1987 to the present day. Just on terminology, by 'Street Fighter' (no italics) I mean the series in its entirety, Street Fighter is the first game in the series. Street Fighter II refers to the Street Fighter II family of games (likewise for Street Fighter Alpha, Street Fighter III &c.) The first game in the Street Fighter II family is therefore denoted by its subtitle, World Warrior. Likewise, Warriors' Dreams denotes the first entry in the Street Fighter Alpha series. For concision and fluency I often shorten titles to their respective tag-lines, so, Street Fighter II': Champion Edition becomes simply Champion Edition, for instance. Also note that Super refers to Super Street Fighter II whereas Super IV refers to Super Street Fighter IV. In all cases context will make it absolutely clear which game is being described. If unsure about how all the titles and their revisions fit together, the Timeline section provides a refresher of every game that touches upon the Street Fighter universe and the links to the different titles give a more detailed overview of each game in the Street Fighter series proper. It must also be declared at the outset that I use the international names for games and characters throughout this website. The first pages of this tome were uploaded in April 2011, roughly in the middle of the Street Fighter IV cycle. I played and enjoyed IV to some extent, but, truth be told, the magic was gone for me. In the process of writing this website I came to realise that, perhaps more than even the game itself, it was the art and presentation of Street Fighter II that left such an impression on me as an 8- or 9-year-old boy.